A robbery in progress. Officer involved shooting. Baby not breathing. An abduction. Suicide attempt. Murder … Before first responders begin to roll, Pasadena Police Department (PPD) dispatchers are the first point of contact. 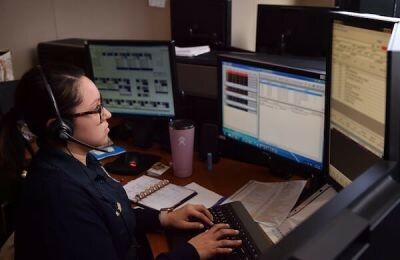 The dispatchers process the information within seconds, deciding: how many officers should be deployed. Is there an imminent threat to the community? Will paramedics or fire engines be needed? So to say dispatchers are the first, first responders is 100 percent accurate. PPD employs 21 (out of 26) dispatchers, with at least four on duty at any given time, Peterson said.